wear a rain jacket because, at any moment, the heavens can open to release a fury of precipitation. Even in July – ESPECIALLY in July. But our rain gear code isn’t the only fact that rings true for those of us living in the Pacific Northwest. Like every place, the Emerald city has those little things that make us unique to the rest of the country. And, so you’re not shocked when you visit and everyone’s wearing rain boots, here are some of the top quirks so you can prepare yourself. 1. The rain is not a myth. On average Seattle has about 140 days of rain and 220 cloudy days per year. We’re not at the top for rainfall in the US, but that’s generally because, when it rains here, it’s not monsoon weather. When packing for your trip make sure to include rain jackets, thermal underwear, flip flops, sunglasses and plenty of socks. It’s not unusual for us to experience four seasons in a day. 2. Before coming, you should probably practice your parallel parking - on hills…in the rain. While other cities forego this portion of the drivers test entirely, it’s almost a daily necessity to be able to properly parallel park in Seattle. And don’t forget to practice driving on hills. There are a lot of them here, some of which are the size of your “mountains”. 3. If you’re not greeted by people high fiving you and saying, “Good’ay” every time you walk down the sidewalk, don’t worry, – it’s not you. Well, it is you, but it’s not personal. Every Seattleite is blessed with the innate ability to do, what is lovingly referred to as “the Seattle freeze.” Perhaps it’s because of our largely Scandinavian background, or maybe it’s our high number of intellectuals, pining artist, introverts and people who speak HTML code more fluently than English. Whatever the reason, don’t take it personally if we’re a bit on the reserved side. 4. We’re intolerant of intolerance. If you’re visiting from out of town I would suggest saying as little negativity as possible. We are a city built, piece-by-piece, by the hard work and dedication of hippies and earth lovers. For the most part, we are pro love and pro peace. And whether that means defending our charter schools or our community garden space, we’ll fight to maintain the flow. Keep with the positive vibes and you’ll fit right in. 5. We LOVE our city. We love our dark horse sports teams (Go Seahawks! ), our tolerance for medical alternatives (I-502), our obscure music scene (you probably haven’t heard of them) and our random displays of art hidden throughout the city. A couple weeks ago I saw a man painting an electrical box on the side of the street – that’s fairly common. 6. Recycling is no joke. We take earth stewardship seriously; probably more serious than a lot of actually serious things. Even the youngest babe knows that each part of your Starbucks order gets dismantled into different slots once you’re done. Don’t you dare put that leftover scone in the garbage! Haven’t you heard of compost before!? 7. Hipsters aren’t really hipsters here. Let’s be honest. We’re pretty much an entire city of hipsters. And, by definition, if everyone is doing it, then it’s no longer the hipster things to do. From the Capitol Hill PBR drinker, to the Ballard mom who thrift shops while the kids are at school. Aspects of hipsterdom are a way of life for the Seattlite, If you don’t believe me, play tattoo bingo. First one to find 5 tree, mountain or wild animal forearm tattoos wins. 8. We love our farmers markets. Almost every neighborhood has one, and they’re essential to the small town feel of Seattle. These are one of the rare places where people open up and talk to each other. They share stories about the vintage postcards they’re selling, or the organic yellow beets they grew in their own gardens. You can listen to live music, and maybe even find the occasional on-the-spot poet. 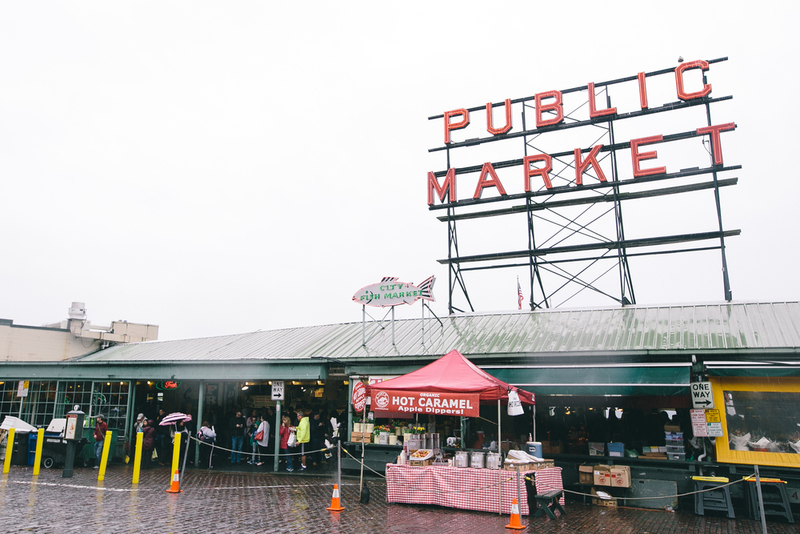 From Pike Place to Fremont, each part of the city has their own unique experiences to offer. 9. We actually do drink as much coffee as people say. The closest humanity could probably get to an actual Zombie Apocalypse would be if Seattle ran out of coffee. I’m not sure the world, as we know it, would survive. 10. If it’s not local, we’re not interested. Lucky for us, pretty much all the best things are local, but we’ll make sure the rest of it is anyway. It’s amazing how much more we’ll pay, and the extra lengths we’ll go through in order to ensure that what we’re investing in is local. Whether it’s cheese, honey or the latest phone – homegrown is best.